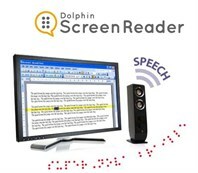 Dolphin ScreenReader is specifically designed for people with blindness or anyone that has no useful sight. Please note: ScreenReader software Activation Code is downloadable software delivered via email within 2-3 days of receipt of order. USB Edition and additional user licence available. Because everything you need to know is spoken, or brailled, there’s no struggling to see the screen – in fact you don’t even need one! Perfect for people that rely solely on speech output, use only Braille, or prefer a blend of both. Speech and Braille access put you in complete control of your computer. Natural-sounding voices intelligently reads documents, emails, web pages and other Apps in detail. Reliably speaks characters and words as you type, increasing confidence and accuracy. 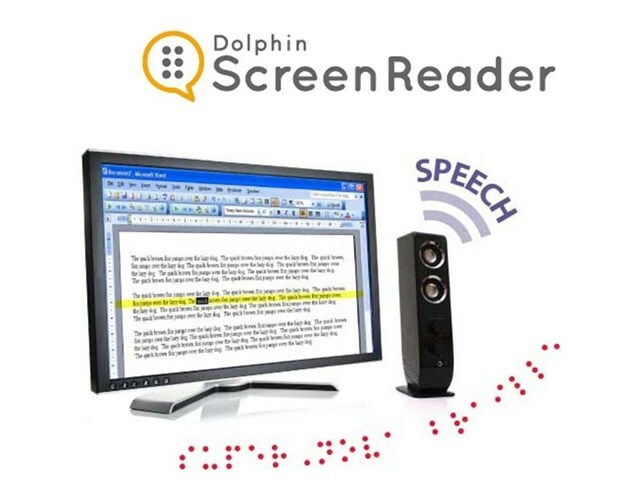 Discover what’s on screen using your keyboard with the Dolphin Cursor and Item Finder. Refreshable Braille accurately displays spelling, punctuation and layout.